People buy a second home for many reasons, which, inter-alia, include as an investment for capital appreciation; to use it as a holiday home; to get a regular stream of income by way of rentals; or to diversify their investment portfolio. However, it is important for an individual, who is planning to buy a second home, to understand the tax implications under the Income-Tax Act 1961 of owning and maintaining the second home. If an individual owns more than one house property for his use, then under the provisions of the Income Tax Act, 1961 (the ‘Act’), any one property as per his choice is treated as self-occupied and its annual value is computed to be nil. The other house property is deemed to be let-out and a notional rent as per the provisions of the Act is computed as the taxable income under the head ‘Income from House Property’. In other words, the second house is treated as being rented-out and its estimated rental income is treated as taxable income. If you own more than one Self Occupied Properties (SOP), you have a choice to treat any one of the properties as SOP. The other such property (ies) which lies vacant will be treated as Deemed Let Out Property (DLOP) under the Act. If a property is treated as a DLOP, it is effectively put at par with a let out property as far as taxation is concerned. Hence, a notional rental value (method to calculate such value prescribed under the Act) is considered as the gross taxable rent for such property. You are allowed to claim a flat deduction of 30% for repairs and maintenance charges. As the benefit of self-occupied property is available for only one home, the estimated annual rent will be considered as the taxable value. If the second house is let-out to a tenant, the actual rent received, subject to certain conditions, is treated as the taxable income under the head ‘Income from House Property’. The taxes paid to the local authority, generally the municipal taxes, are allowed as deduction in the financial year, in which such taxes are actually paid. This is irrespective of whether these taxes pertain to the current financial year or the earlier year. Therefore, an individual should keep a track of the municipal taxes paid and claim this deduction accordingly. Further, a sum equal to 30% of the annual value of the house property is allowed as deduction towards repair and maintenance charges. It is pertinent to note that this deduction of 30% is a fixed percentage, irrespective of the actual amount incurred by the individual i.e., irrespective whether an individual incurs more or less amount, he can only claim a deduction for 30% of the annual value of the house property. Whether the second house property is deemed to be let-out or actually let-out, the actual interest paid on the housing loan is allowed as deduction. This is contrary to the case of a self-occupied property, wherein the maximum interest on housing loan is restricted to Rs 150,000 p.a., subject to certain conditions. 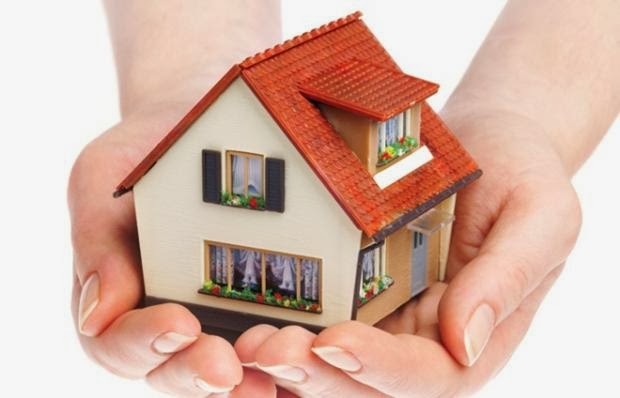 o one house property, as per the choice of the Assessee, shall be treated as self occupied houseproperty and the annual value shall be treated as Nil. o Other house property shall be deemed to have been let out and the tax is payable on notional rent as the property is deemed to have been let out and is taxable on the basis elaborated above. In respect of such deemed let out house property, one can claim interest as deduction u/s 24(b) without any monetary limit. However, for the second house property, no deduction is available for repayment towards the principal portion of housing loan under section 80C. a) Under the Wealth tax Act, 1957, Section 5(1) indicates that an assessee can hold one property as a self occupied property and the same be exempt from eligible assets liable to Wealth tax. b) If an assessee, holds more than one property, then the second property for the purpose of Wealth tax has to be valued as per the Wealth Tax Rules 1958 and the value in excess of Rs. 30,00,000/- is liable to Wealth tax. However if there is any liability against the said asset, the same is to be deducted before computing the taxable wealth. c) If the assessee holds more than one property and the second property as let out for more than 300 days in previous year, then such property is not considered as eligible asset for calculation of taxable wealth.